British & Irish Lions and Ireland legend Donncha O’Callaghan has confirmed that Warriors’ final home match of the 2017/18 season against Harlequins will be his last in professional rugby. Warriors’ Aviva Premiership Round 21 clash with Quins is an all-important one for Alan Solomons’ side, and the match on Saturday 28 April will also see the Club say farewell to an icon of the sport. 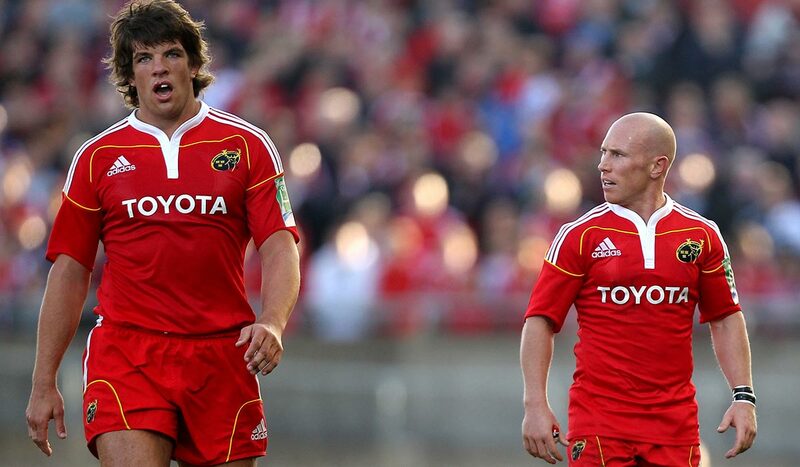 268 times Donncha O’Callaghan played for Munster. That’s more than the likes of Paul O’Connell, ROG & Anthony Foley, and makes him the province’s most capped player. O’Callaghan said: “I leave the game with a profound sense of gratitude for all that it’s given me. Physically I feel I can go on but now is the right time to go. “It’s time to spend more time with the kids. A professional sportsman has to lead a selfish life, but it’s not fair on my family any more for me to keep doing this while precious time ebbs away with me in one country and my family in another. “There are a lot of people to thank for my time in the game, during which I have also made so many wonderful lifelong friends, and to each and every one of you, I’d like to say a very big thank you. O’Callaghan amassed 98 Test caps, with 94 for Ireland and four for the British & Irish Lions, while he also represented the illustrious Barbarians on two occasions. O’Callaghan also had a decorated 17-year spell with hometown club Munster Rugby, where he won two Heineken Cup titles and two Magners League titles in his 268 appearances.